Michael called in 2003, after 5 years in the Crown Office and Procurator Fiscal Service [COPFS] and 7 years as a solicitor in private practice. Within COPFS he worked in the High Court Unit preparing high court prosecutions; in private practice he gained extended rights of audience and appeared as a solicitor-advocate in the High Court and before the Judicial Committee of the Privy Council. Between January 2006 and February 2009 Michael was an Advocate Depute. During this time he prepared and prosecuted many complex, serious and sensitive cases including road traffic, firearms, drugs, sexual offences and murder cases. In March 2009 Michael returned to the defence Bar. 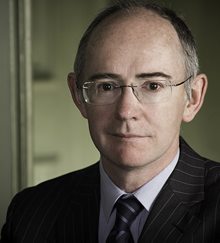 Michael is instructed in complex High Court and Sheriff Court cases.